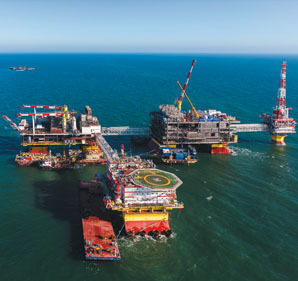 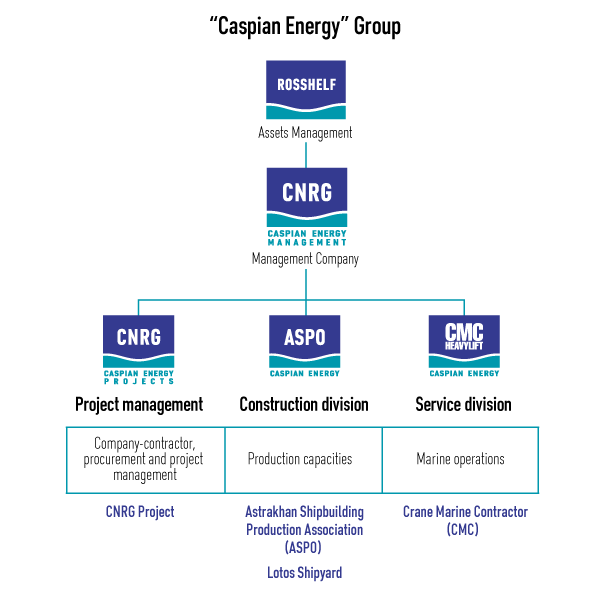 Joint Stock Company “ROSSHELF” was founded in 2012 on the basis of Caspian Energy Group and it is a holder of assets designated for creation of facilities for offshore oil and gas fields development. 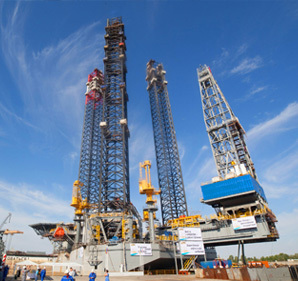 Currently “ROSSHELF” JSC is included into “United Shipbuilding Corporation” Joint Stock Company. 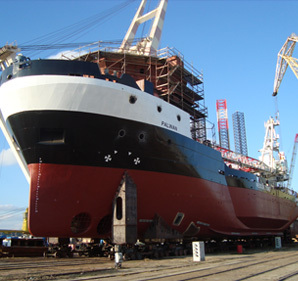 The company includes the biggest shipbuilding companies of the Astrakhan region (ASPO Main Yard, “Lotos” shipbuilding yard, ASPO site # 3) capable to perform fabrication of complicated steel structures in scope of more than 30 thousand tons per year, as well as a shipping company specialized in transportation and installation of heavy steel structures.